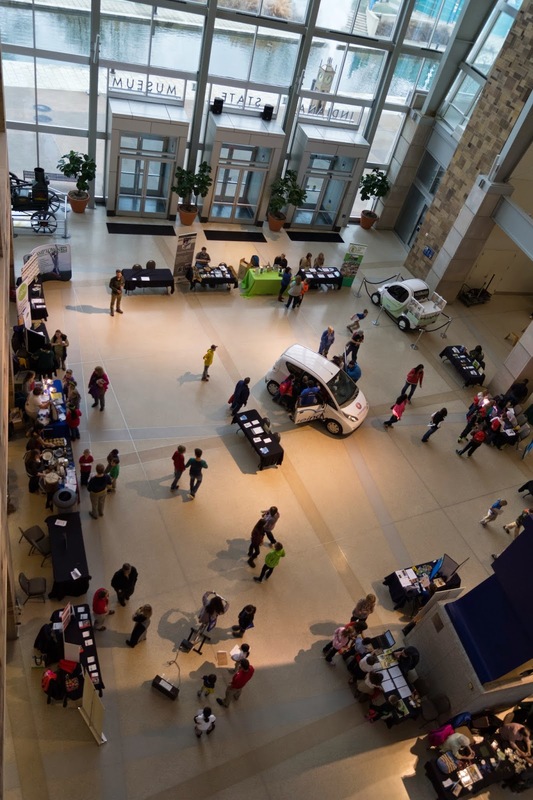 In January of 2014, I had the idea that Indiana State Museum's annual Going Green Fest should take on an additional feature, an Eco Science Fair. So I reached out to my friends at the ISM, Joanna Hahn and Katelyn Coyne to ask if they'd consider it. Not only did they love the idea, they wanted to do it right away! 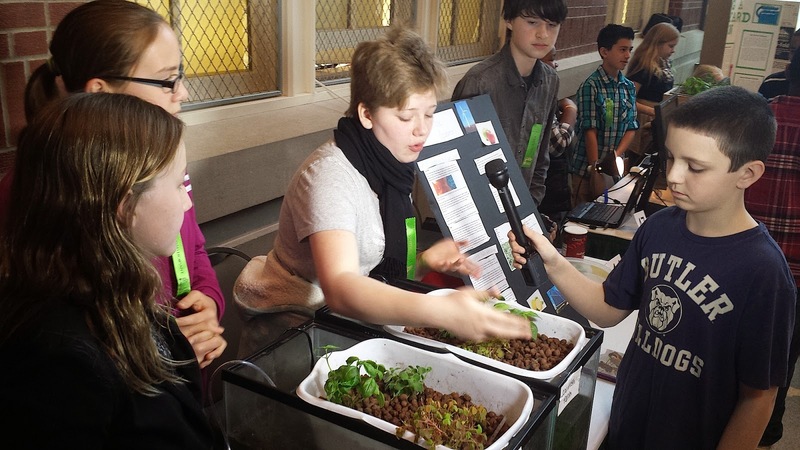 We had a great Eco Science Fair in March, 2014, with a half dozen schools in attendance — showing off their sustainability projects to the hundreds of kids already coming to the Going Green Fest. For 2015, we had a lot more time to plan. John Brady, science teacher at Brebeuf Jesuit Preparatory School, got his students involved to create a structure for the Fair, categorized by age groups, so that displays could be awarded with certificates and prizes. 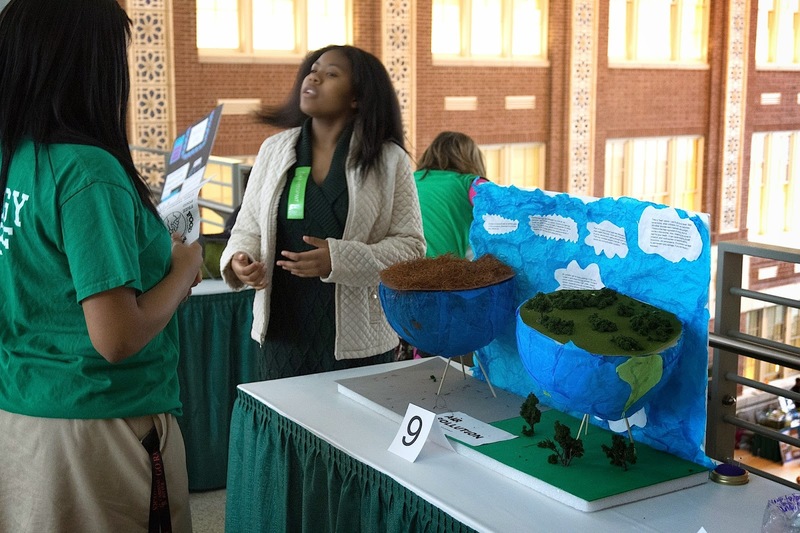 Overall, it was an amazing Going Green Fest/Eco Science Fair. 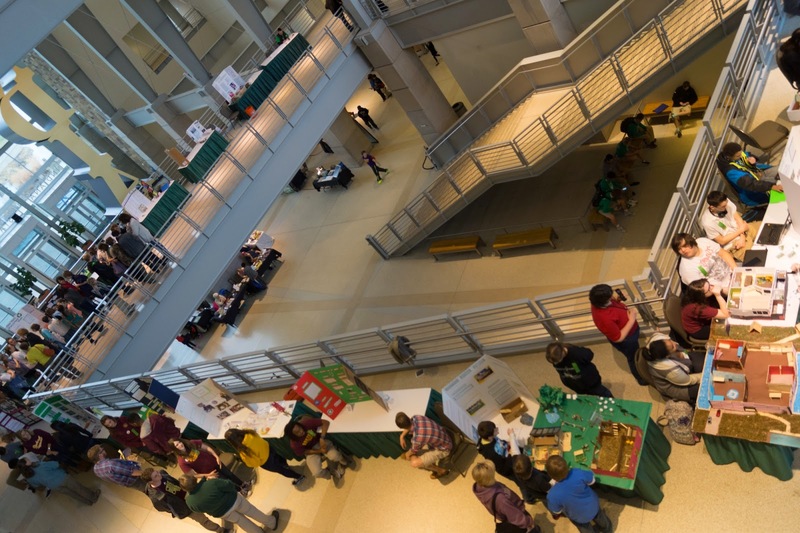 Some 1500 students attended in total, including a couple hundred students showing off their projects, dioramas, experiments, discoveries and initiatives. I will let my photos below do most of the talking here, but for me, the experience was a delightfully dizzying one. I was struck over and over again by the brilliance of these young people, along with their public speaking skills and overall acumen with the subject of human impact, pollution, climate change and climate solutions. The beautiful Indiana State Museum, site of the annual Going Green Fest, March 20 & 21. Fifteen hundred kids attended! 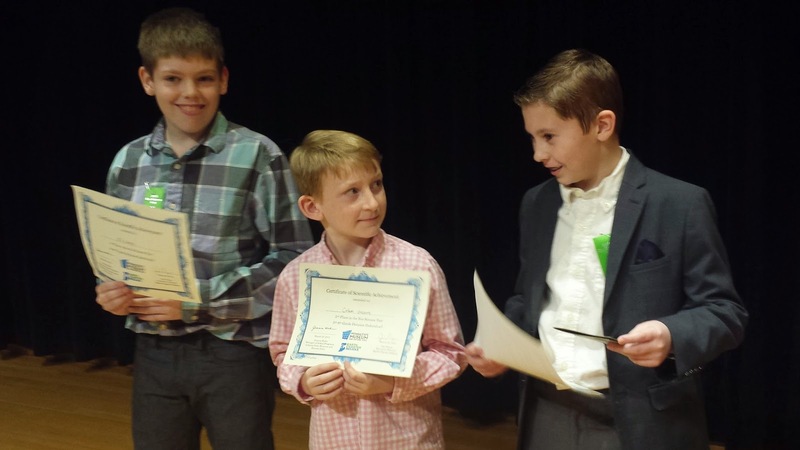 Eli, Colm and Jack, all from Oaklandon Elementary; they swept their division! Project Libertas students won first place; here they are being interviewed by Decatur Township School of Excellence student, David Richardson, for a video we will be releasing soon. 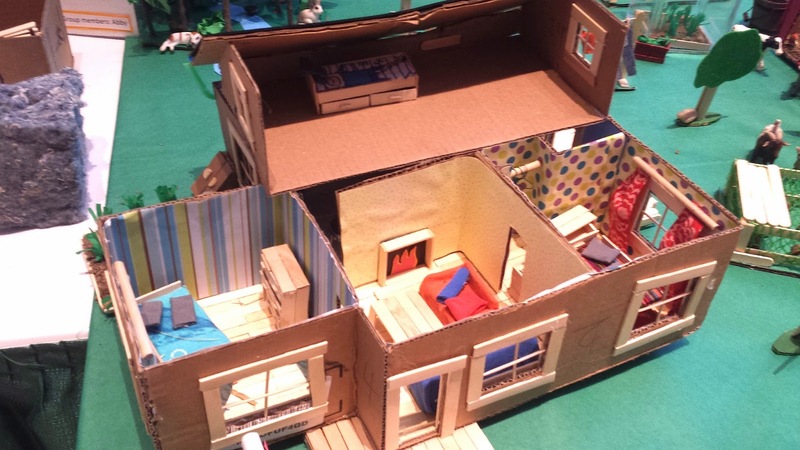 Abby, from Decatur Township School of Excellence, built a sustainable house — and a sustainable farm to go with it! Downstairs, students were treated to lots of great information from a dozen or more vendors. Aquaponics is all the rage these days! 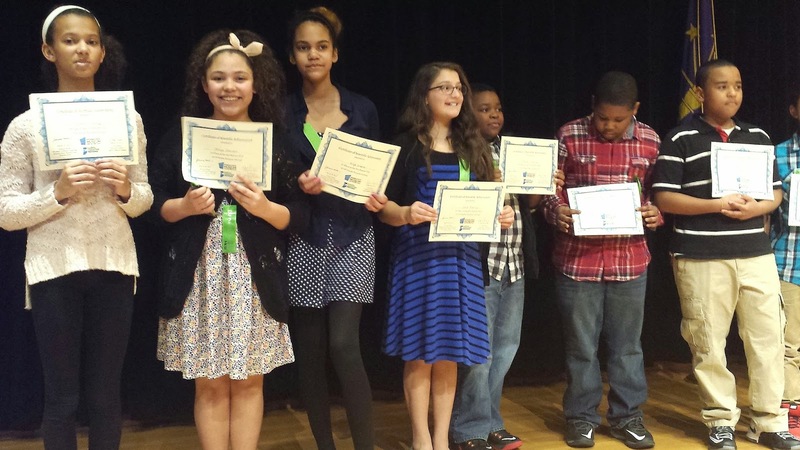 Just some of the award winners of the 2nd Annual Eco Science Fair. 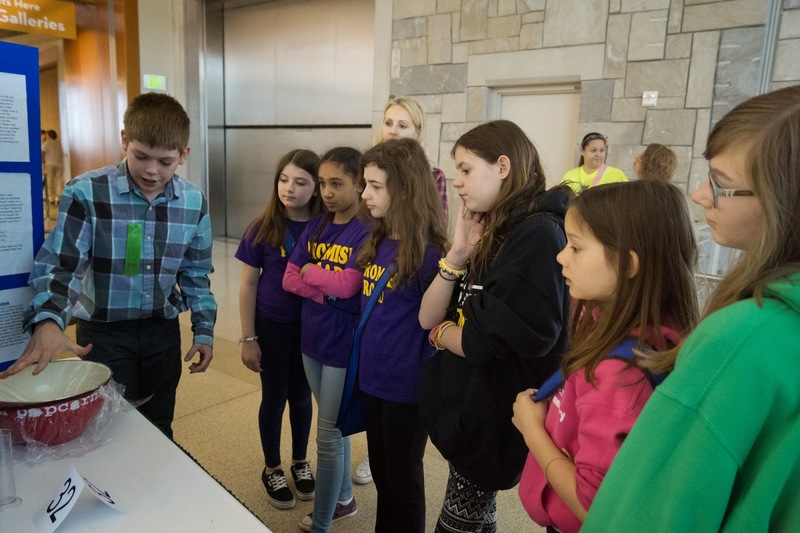 Bethany, from Project Libertas, had a display on pollution, explaining good & bad ozone. 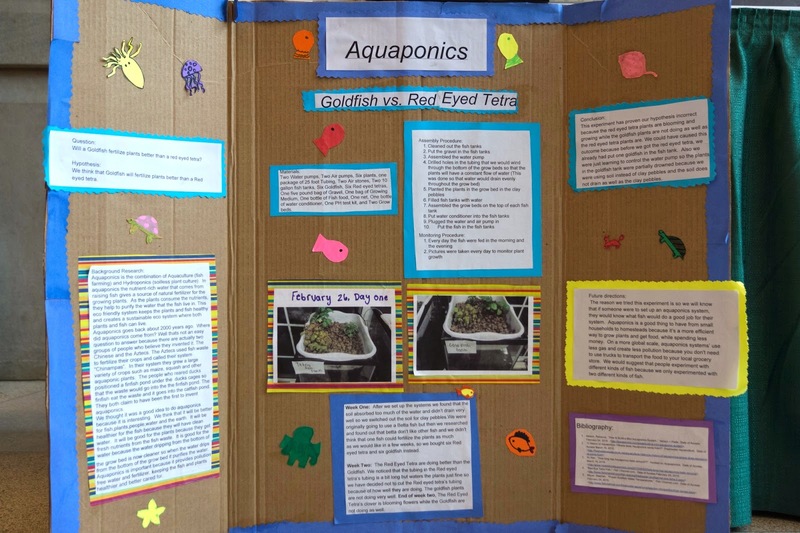 Oaklandon Elementary students are aquaponics experts. Ellie's display asked the question "Is bottled water worth it?" Her conclusion: NO! This is Eli from Oaklandon. His project was on desalinating water through the water cycle. 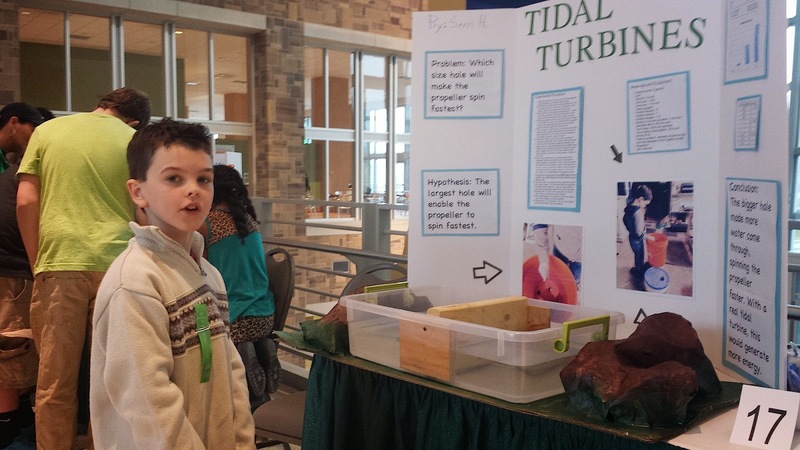 Sam from Project Libertas had a display on energy generated by tides. 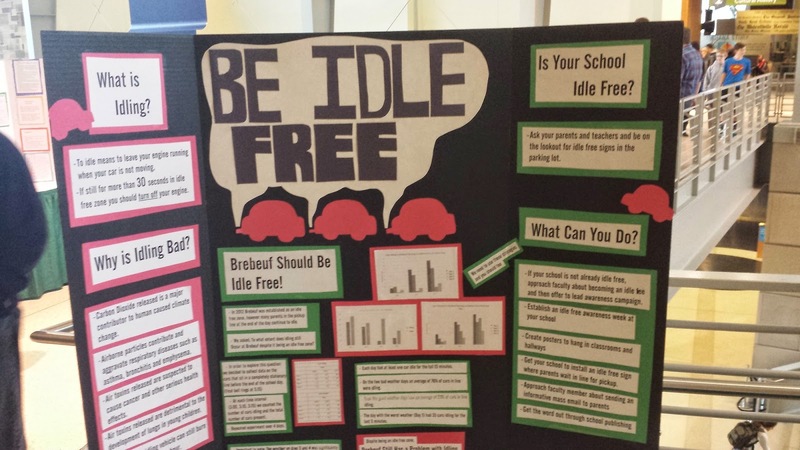 One of the Brebeuf displays was on one of my pet peeves: people letting their cars idle. 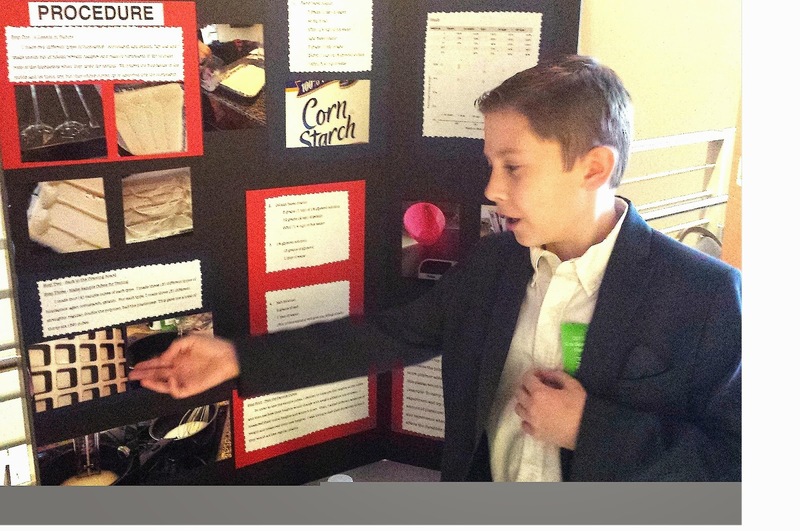 Jack won first place in his division for his display on making biodegradable plastic. Yes, you read that correctly: Jack created biodegradable plastic. First place in their division! Food Rescue keeps methane out of landfills, and can provide food for those who need it. These youngsters were incredibly adept at interacting with others. That's a sample of what was on display on Friday. 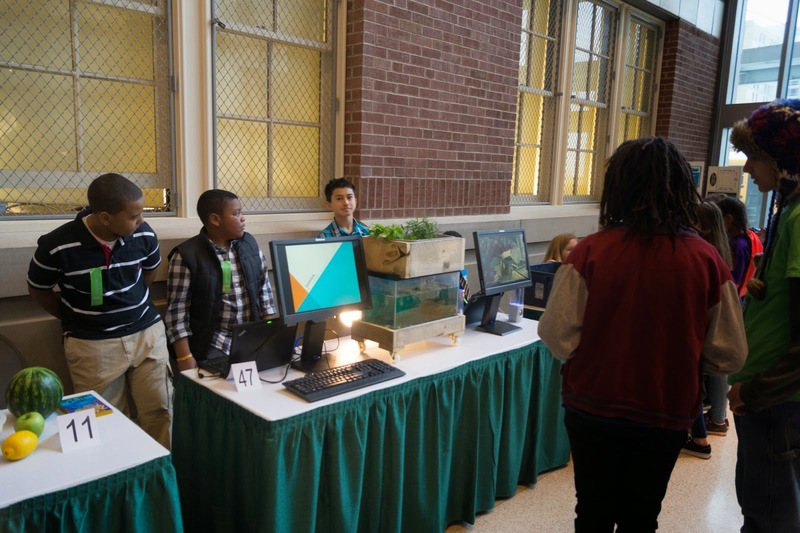 On Saturday, a number of these displays remained up, but the new format we tried out for the first time, was to feature live presentations on sustainability by area students. We included college students as well. 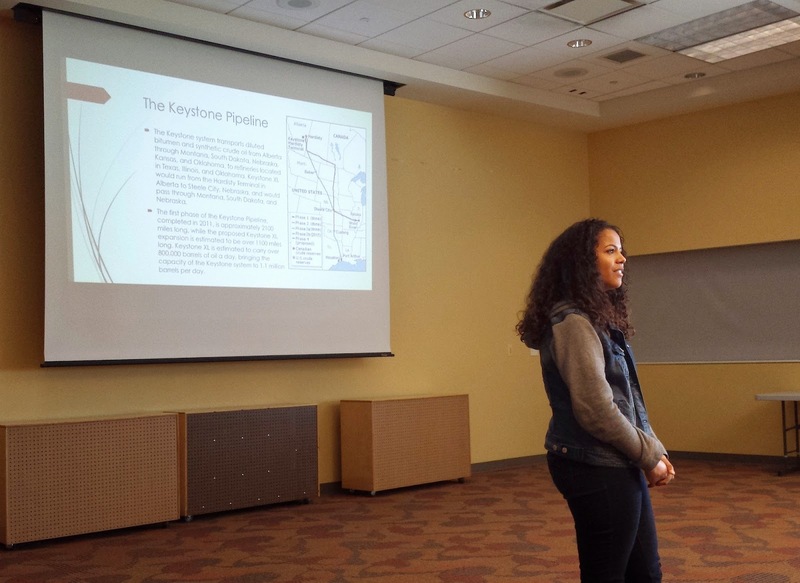 Three students from Ball State University did presentations, along with high school and middle school students. 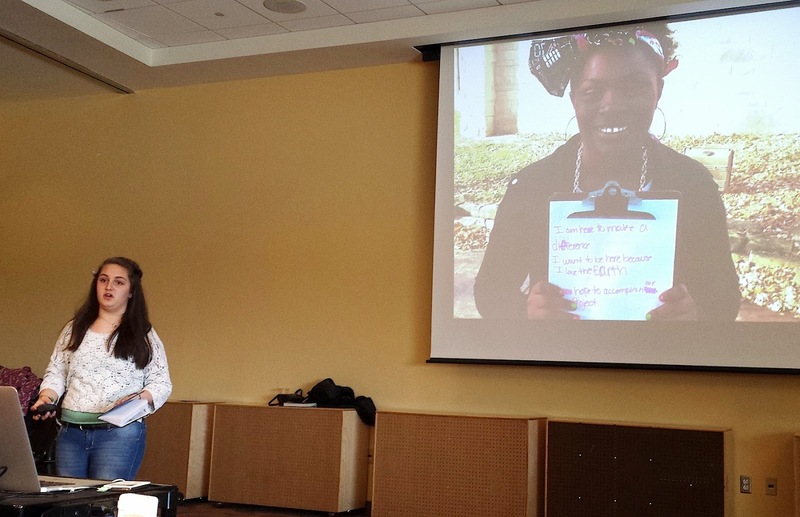 Maddie, a student at Project Libertas, presented on her work on climate change. 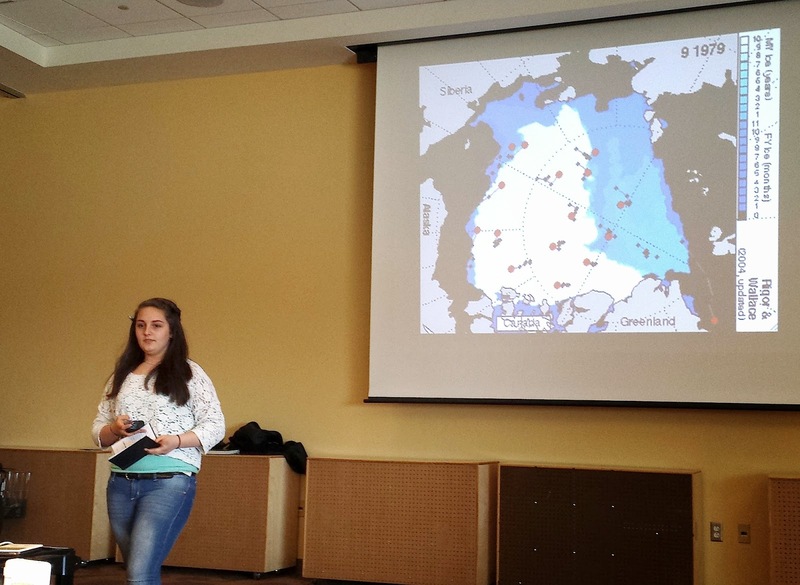 Here she is showing an animation of the precipitously melting Arctic ice. Here, Maddie displays a photo of her classmate Miciah, whom she is partnering with at Project Libertas to establish an Earth Council at their school. Claire Wilson, from Brownsburg High School, did a presentation on renewable energy opportunities in Indiana, from solar to biomass. 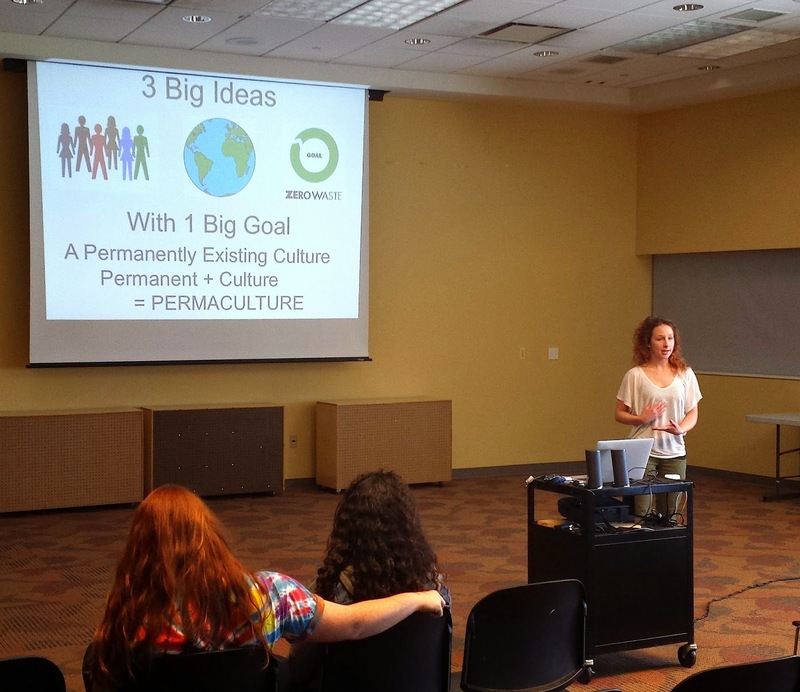 Faye Lichtsinn, from BSU, did a presentation on permaculture. We hope to expand both the number of displays next year, as well as create awards than include scholarship support. If you can think of any possible funding sources for that, please let me know! We also hope to expand this live presentation format. Think of how powerful these students' work will be if their displays can live on in recorded formats like video. 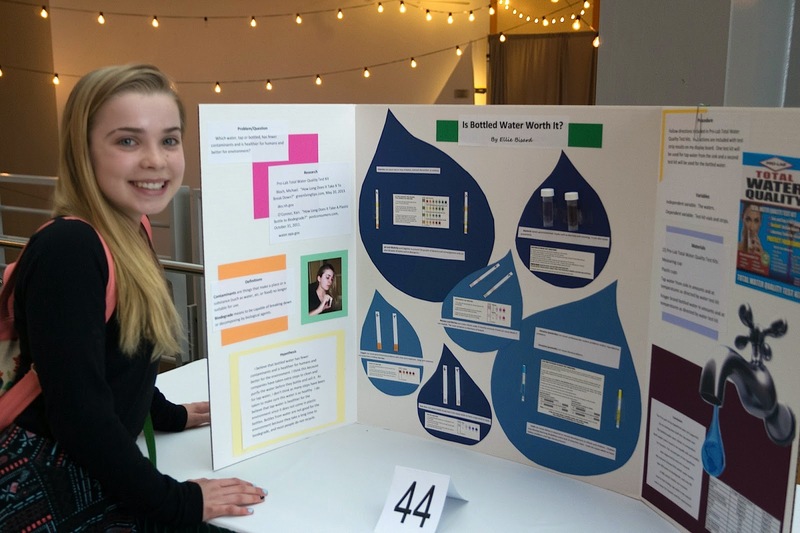 Here's a video from last year's Eco Science Fair. With these amazing young people, our future is in capable hands, but we have to support them in every way possible, by making sure all schools are adequately funded, all administrators and teachers know how much we appreciate them, and by investing our time and effort as community partners. I'm all in, I hope you'll join me. Great stuff, Jim! 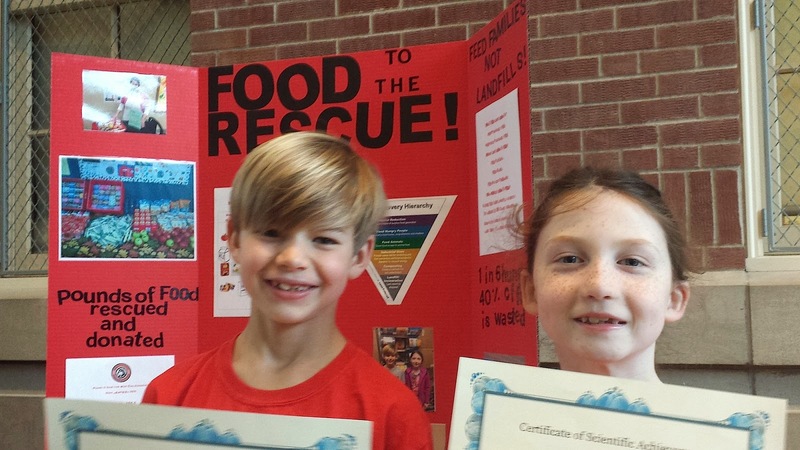 And those Food Rescue youngsters have a special place in my heart! I am struck to visit this delightfully dizzying site and brilliancy of those who discover this site of dissertation writing service. 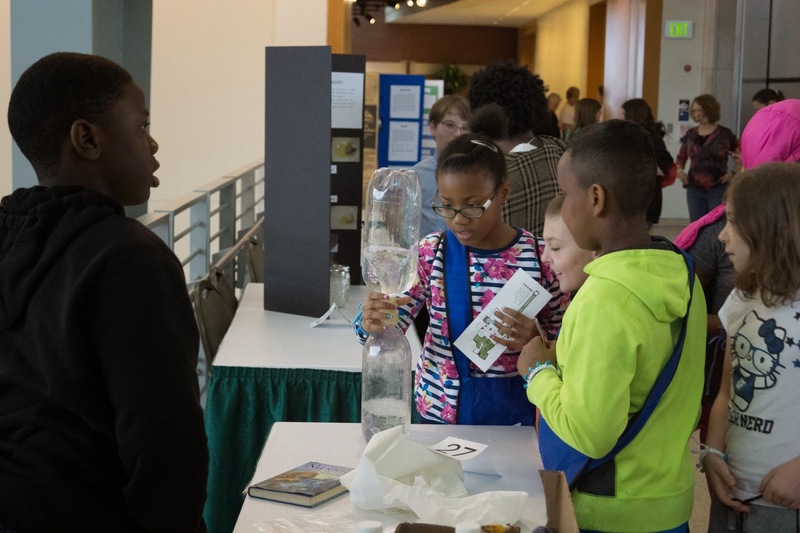 A variety of science communication and science engagement projects is in fair shape.